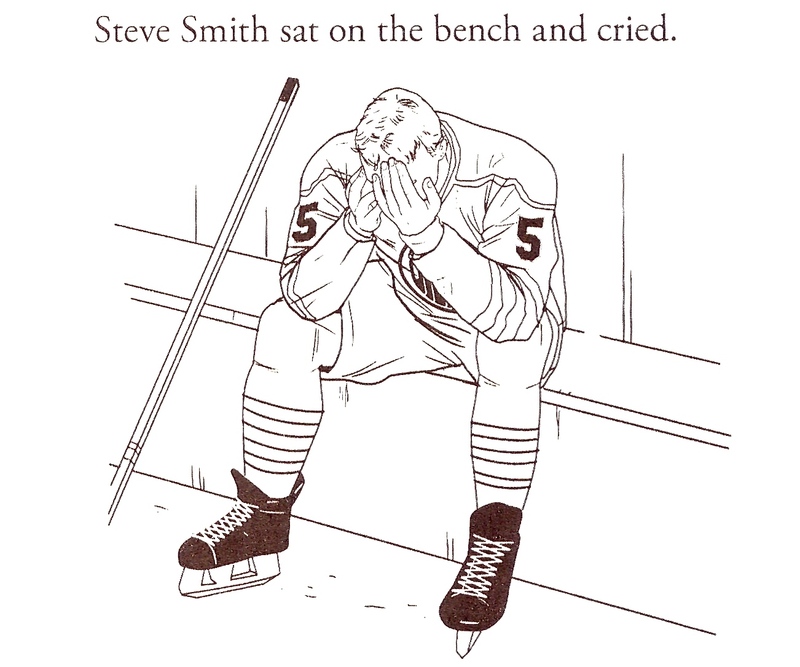 Before The Fail: Born on this day in 1963 in Glasgow, Scotland, Steve Smith, 55 now, is still, at this writing, an assistant coach with the Carolina Hurricanes. 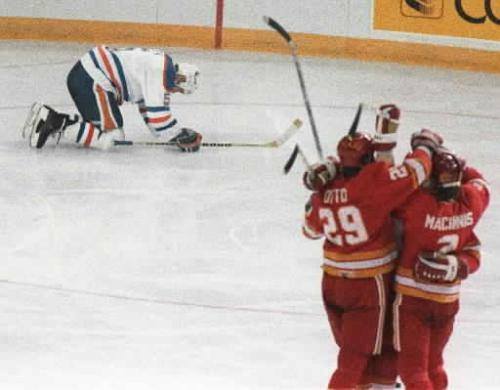 As a defenceman he had a hand in helping the Edmonton Oilers win the Stanley Cup in 1987, 1988, and 1990, and he was a scout for the Chicago Blackhawks when they won in 2010. 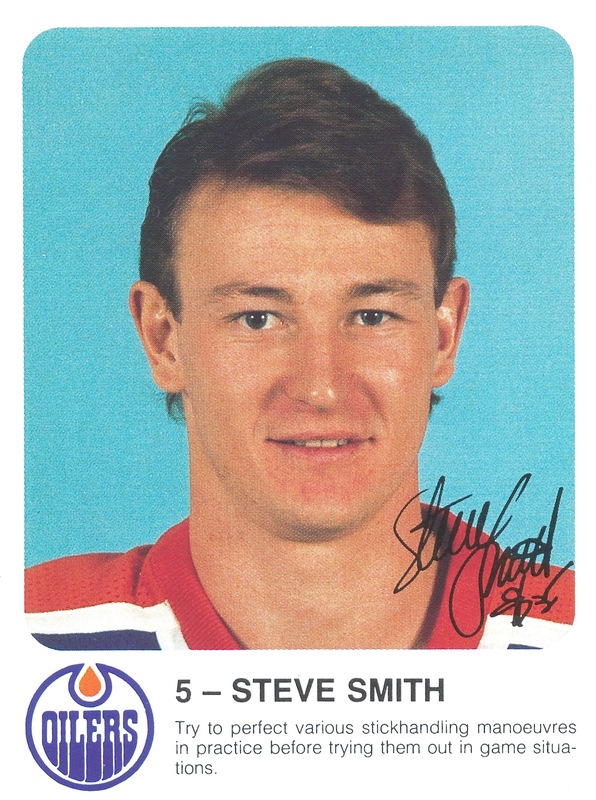 Here he’s pictured ahead of the 1985-86 NHL season, the first one he spent manning the blueline full-time for the Oilers as they chased a third straight championship. 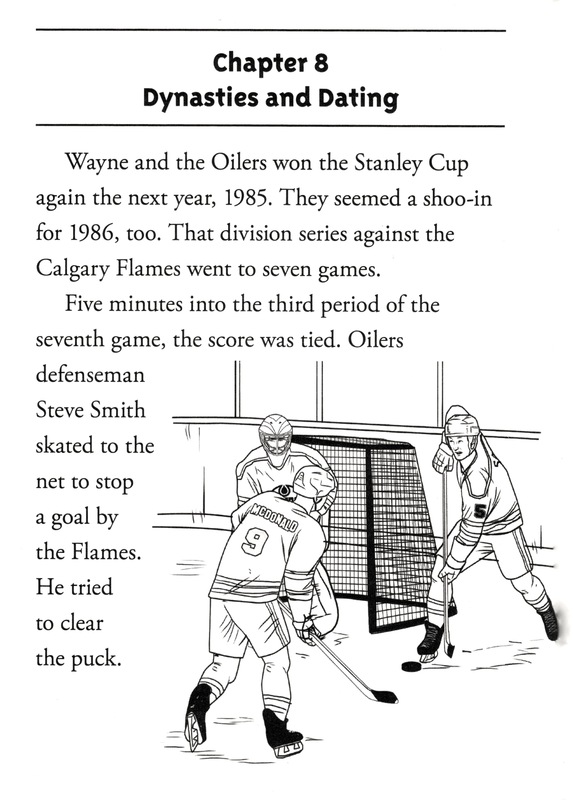 That ended unsuccessfully in the spring of ’86, also on this day, in a game situation that ended in tears when Smith banked a puck off Grant Fuhr’s leg into the Oilers’ own net. Debuting on this day in 1895, North Bay’s own Duke Keats. Actually, he was born in Montreal. His parents moved him to North Bay when he was three or four. Gordon, he was called then. His father was a baggageman for the CPR. Hockeywise, I’ll begin, if I may, by revelling for a moment in the names of some of the teams he played for after his career got going in 1912: Cobalt O’Brien Mines, North Bay Trappers, Haileybury Hawks, Toronto Blueshirts. 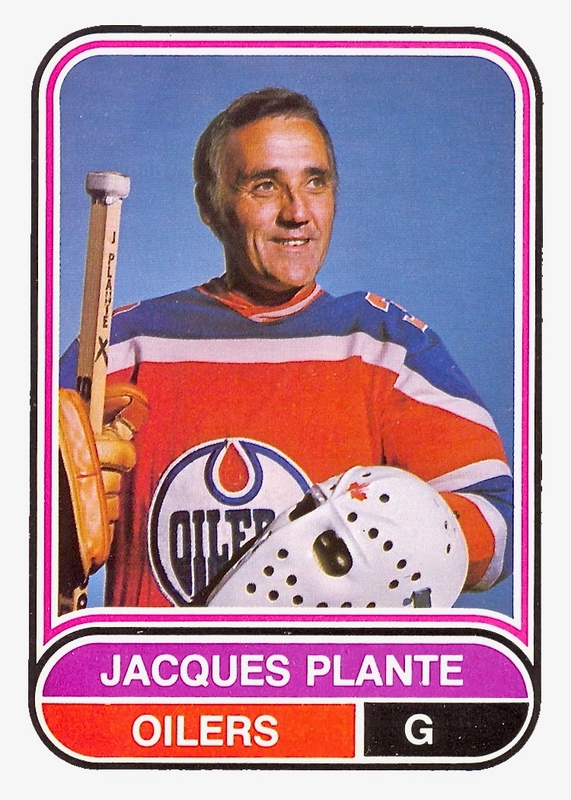 In his prime, he starred for the Edmonton Eskimos of the old WCHL. He’s part of the story of the (also North Bay’s own) 228th Battalion in the NHA. To review: Keats was big and he was brash, and early on friends of his saw something in him that made them think of a Royal Navy dreadnought, which is how he’s supposed to have acquired his nickname, from HMS Iron Duke. 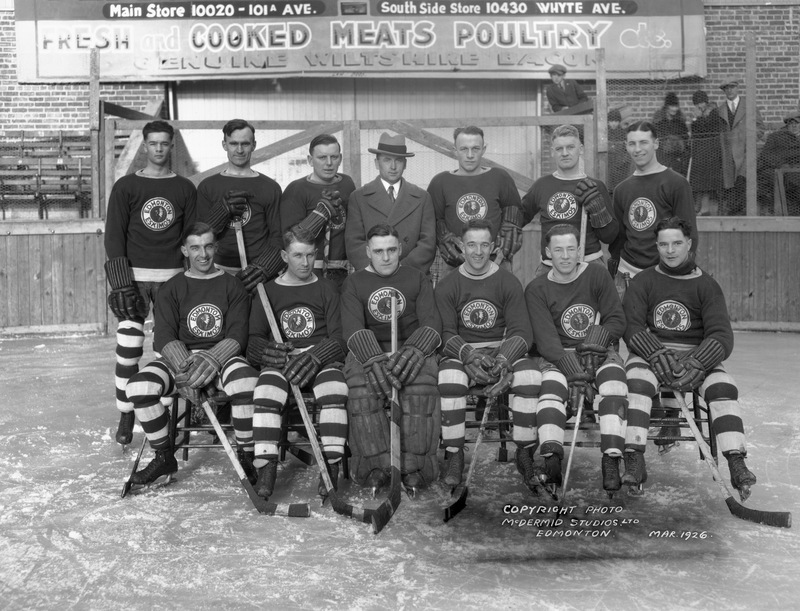 In 1923, the Eskimos were the Western Canadian Hockey League champions and thereby advanced to meet the Ottawa Senators in the Stanley Cup finals, a sight I’d like to have seen. 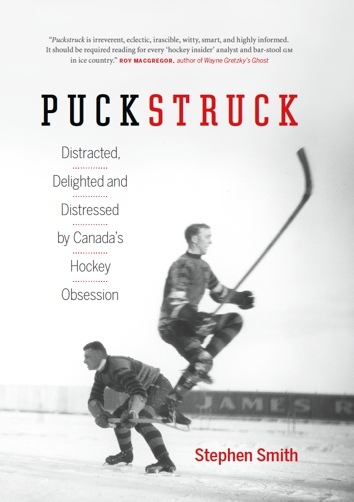 An Ottawa Journal preview of the two-game series described Keats as “a slow moving bird but a great stickhandler and shot.” Skating with him, the Eskimos had Helge Bostrom and Art Gagne and Bullet Joe Simpson. Ottawa, then, counted on Clint Benedict in goal, Eddie Gerard and Buck Boucher for the defence, Frank Nighbor, Cy Denneny, and Punch Broadbent going forward. For spares they had Jack Darragh, King Clancy, and Lionel Hitchman. Keats was 31 by the time he migrated to the NHL in 1926, after the WCHL turned into the WHL, which didn’t last. He played with the Bruins for a season before a trade made him a Detroit Cougar. He scored the first hattrick in franchise history during his time there, which also featured the strange case (in 1927) of his swinging his stick at fans in Chicago, including Irene Castle McLaughlin, owner Frederic McLaughlin’s wife. More on that here; for our purposes here, we’ll just recall that Major McLaughlin decided he liked the cut of Keats’ temperamental jib, and traded to bring him to the Black Hawks. In 1924, did I mention, when Keats still an Eskimo, he was fined $50 for climbing into the stands and threatening to attack a spectator. And in 1933 — he finished up his playing career back in Edmonton after a spell in with the AHA Tulsa Oilers — in 1933 he was served with a summons to appear in police court on a charge of fighting in public after a raucous game against the Calgary Tigers. So there’s that. Since we’ve brought Taylor into the mix, can we consider, finally, whether Keats once perhaps skated backwards all the way down the rink, stickhandling the whole way, defying opponents who tried to stop him and maybe even making them look like clumsy fools in the moments before he scored a fantastic goal that would have been wonderful to watch on YouTube and circulate among friends, if only someone could have bothered to invent YouTube in the early 1920s? Answer: maybe so. We just don’t know. Cyclone Taylor is supposed to have achieved something of this sort in 1910, though the exact facts of that case and whether it was quite so spectacular is (as Eric Zweig has noted) not exactly clear. 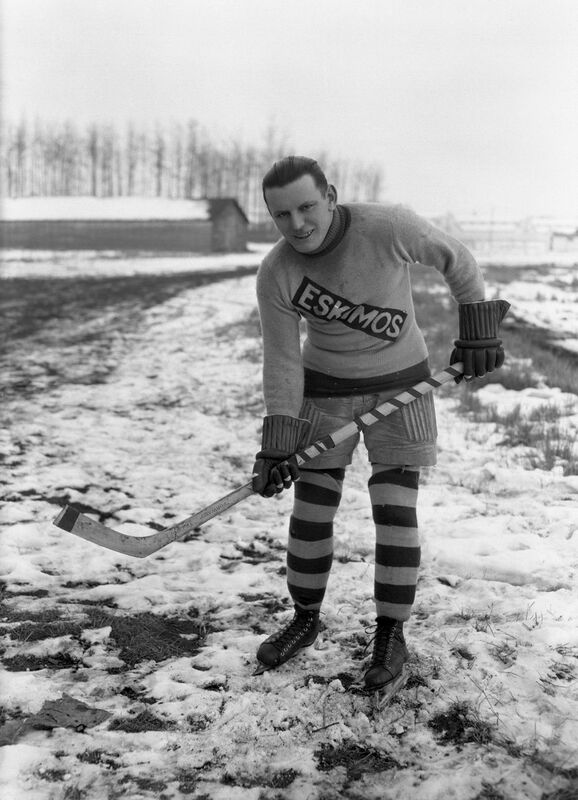 Playing centre for Edmonton in the early ’20s, Keats reputedly picked up the puck and skated backwards the entire length of the rink before scoring a goal against an opposing team. In the second game of that ’23 series versus Ottawa, the Journal does have him stealing the puck from Eddie Gerard at the Senators’ blueline whereupon “he skated backward through the opposing defence, trailing the puck in the shadow of his body for a backhand shot.” But didn’t score. Blood Brood: For the first time in NHL history, four sets of brothers took the ice together in December of 1940. From left, Rangers Mac and Neil Colville line up with Lynn and Muzz Patrick, alongside Max and Doug Bentley of the Black Hawks, and Bill and Bob Carse. There would be no gathering of the clans on this night in 1941 — not all of them, anyway, just some of them. 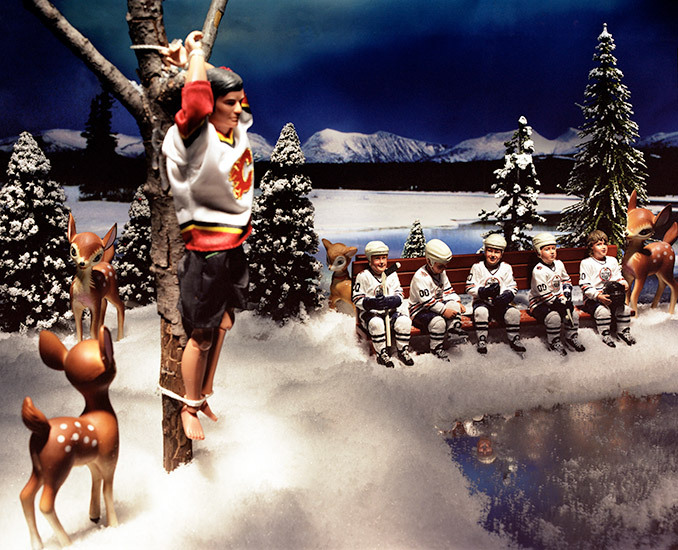 In fact, by this point in the 1940-41 season, the brief era of the NHL’s greatest sibling assembly had already come and gone. There would be other nights of brotherly note in years to come, as when four Sutters took part in a 1983 game, but that wartime season was unlike any other insofar as four sets of brothers were on the ice together on several of the occasions when the Chicago Black Hawks battled the New York Rangers. 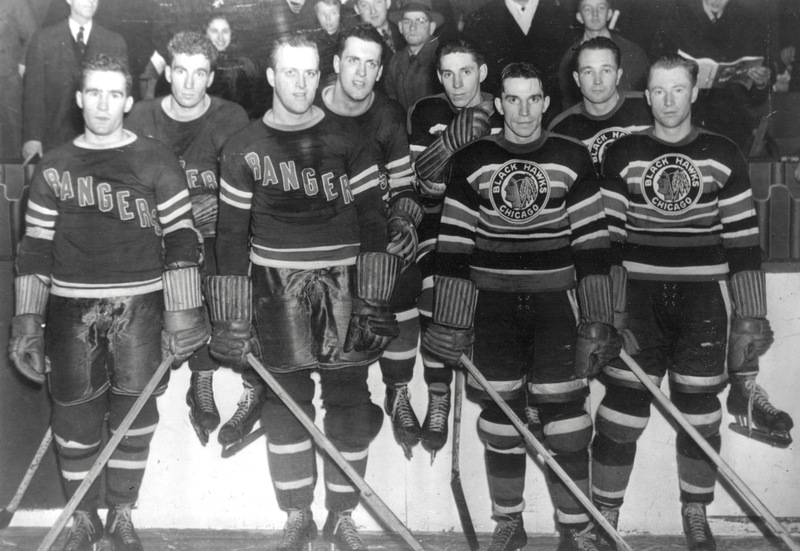 The Rangers, who were the defending Stanley Cup champions going in ’40-41, featured GM Lester Patrick’s boys that year, Lynn, 28, and 24-year-old Muzz, both born in Victoria, B.C. 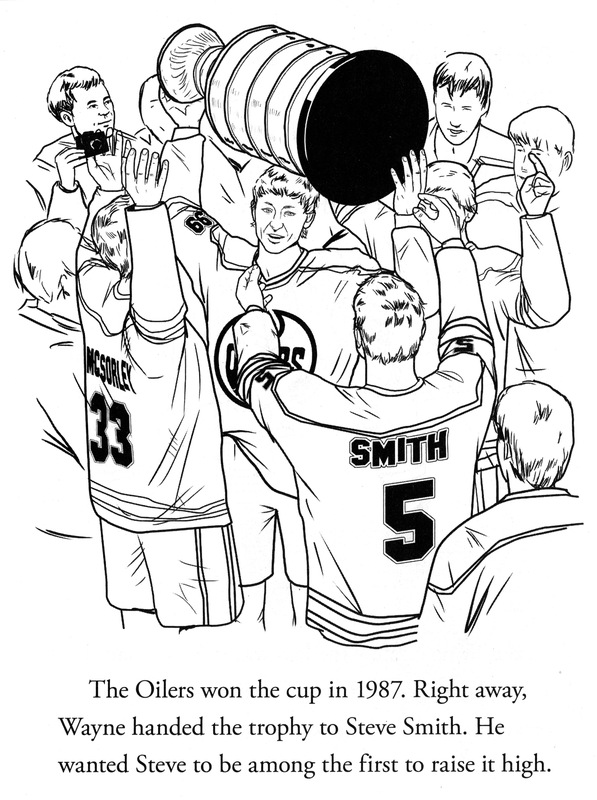 Also on the roster were Edmonton’s own Colvilles, 26-year-old Neil and Mac, 24. Chicago, meanwhile, had Edmontonians of its own in Bill and Bob Carse, aged 26 and 21 respectively. And they had dual Bentleys, too, from Delisle, Saskatchewan, 24-year-old Doug and, in his rookie season, 20-year-old Max. While the two teams would meet eight times over the course of the regular season, all the brothers would be involved for just three of those games. The first of those was on December 1, 1940 in Chicago, with the home team prevailing by a score of 4-1. The novelty wasn’t much noted. There was the photograph, above and, here and there, a few newspaper inches on previous NHL brothers, Cleghorns, Cooks, and Conachers. Thompsons, too, one of whom, Paul, was the Chicago coach. Max Bentley scored the first goal of his career that night, early in the first period: Phil Hergesheimer passed him the puck and Bentley went racing through centre. 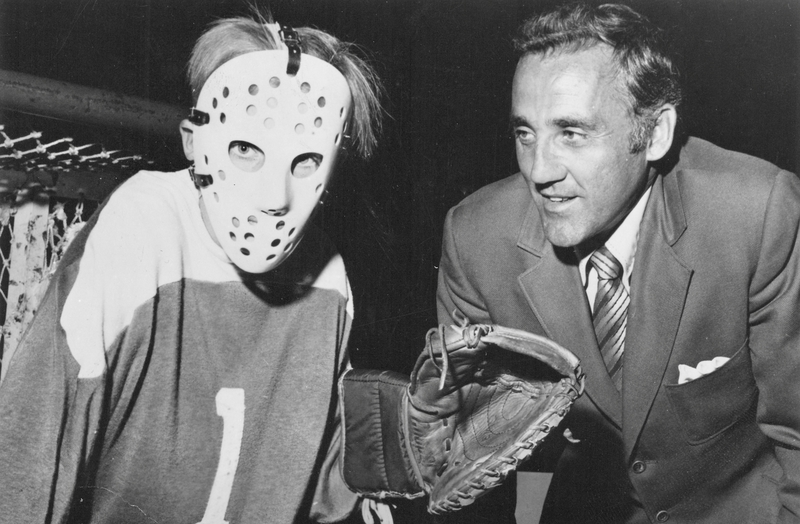 “One lightning swish and Max blinded Goalie Dave Kerr with the first tally,” was how The Chicago Tribune wrote it. Bill Carse scored, too, in plainer prose. The last time all the brothers were in a game together was on the night of January 7, 1941, in New York again, where the Black Hawks prevailed, 3-2. 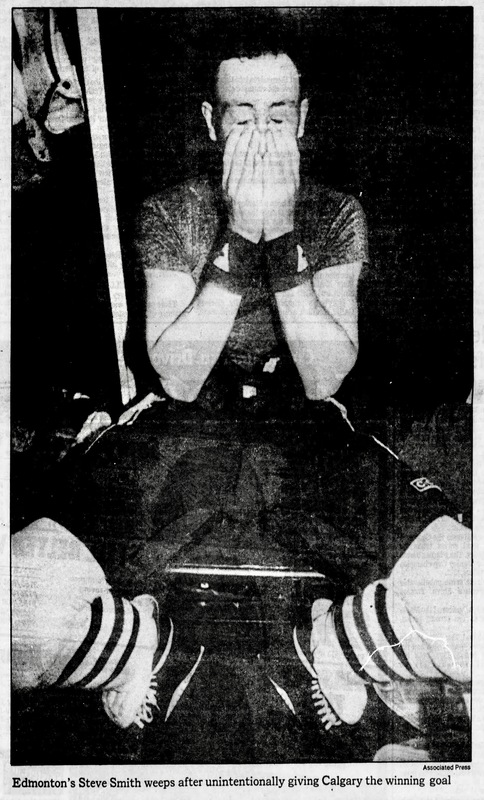 This time, Lynn Patrick’s goal involved “a terrific shot that eluded Goalie Sam LoPresti” (Chicago Tribune) and “converting a pass from Neil Colville” (Times). Carsewise, Bob scored. And that was all. When the teams met again on this day in ’41, it was Max Bentley who was missing. Sent down that week for seasoning with the minor-league Kansas City Americans, he’d at first refused to report, though Kansas coach Johnny Gottselig soon talked him into it. Chicago won the January 26 game, while New York took the last three match-ups. Max was back in Chicago for those games, though they lacked, variously, Doug Bentley (troublesome back) and/or Bill Carse (skate-cut to the leg). The brothers might all have re-united the following season, 1941-42, but for Muzz Patrick having departed the league for a higher calling. Does that sound morbid? The fact of it is that, having applied for and gained American citizenship, he’d joined up. As the rest of the brothers prepared for another season on ice, the U.S. Army’s Private Patrick was in basic training at Camp Wheeler in Georgia. By December he’d been transferred north, to Fort Jay, New York. 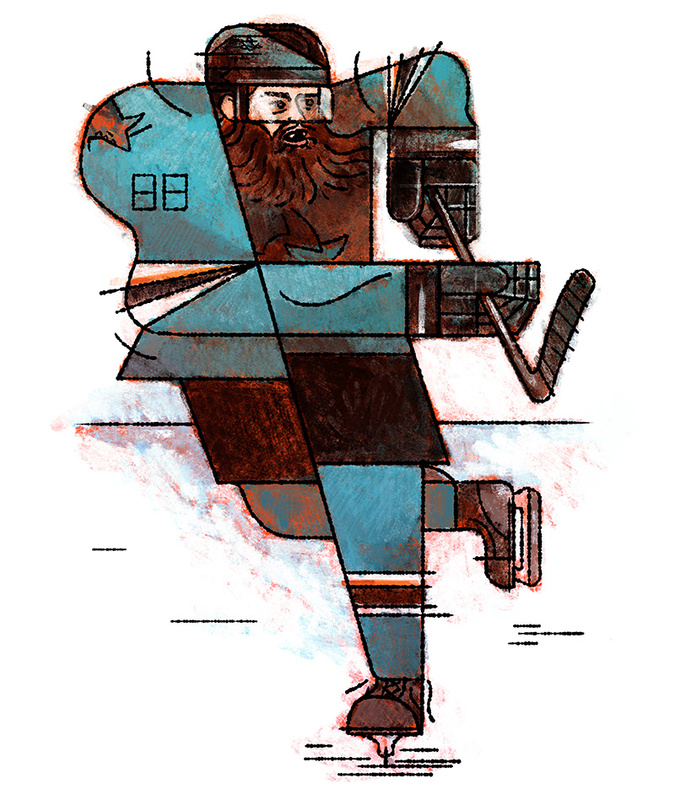 “That gives Muzz a chance to see the Rangers in action a few times,” fancied a sports columnist; “he’d probably like to switch uniforms long enough to give his dad and brother Lynn a hand some night.” Promoted lieutenant, he found his calling as a military policeman and served out the duration of the war. He got his discharge in October 1945, just in time to head for the Rangers’ training camp in Winnipeg. 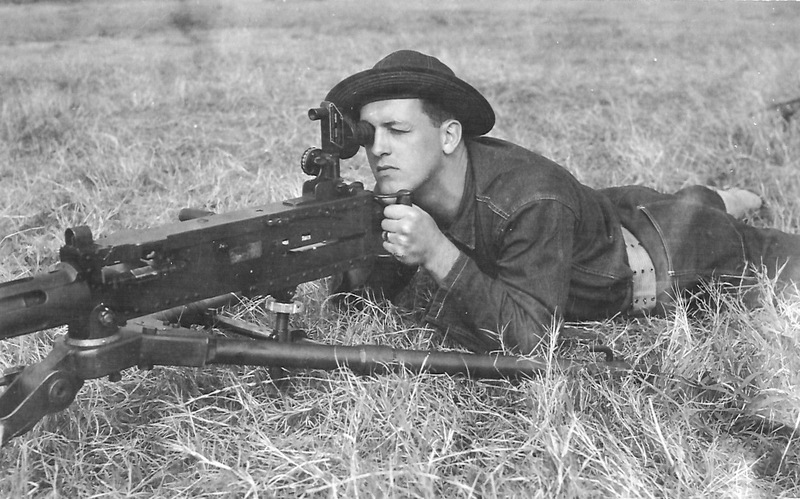 Sight-Seer: Private Muzz Patrick mans a .50-calibre machine gun during basic training at Camp Wheeler, Georgia, in the fall of 1941.